Santa Claus Gift Bag - $14.99 With FREE Shipping! What better way to give a gift than in a fun and quirky gift bag. 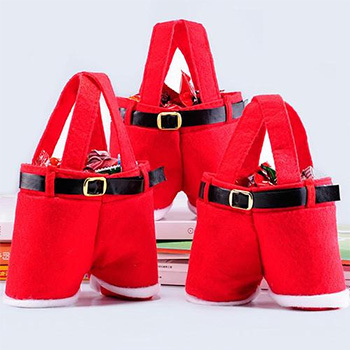 These bags are designed to mimic Santa's famous red trousers and suspenders. Fill them to the brim with fun and exciting gifts the whole family will love.